Few inventors could have been blessed with a more perfect inspiration for their invention than Carl A. Neracher, an engineer with the Overland car company. He lived up to his name by producing a motorcycle that truly was "near a car," with some of the backing provided by a man whose name was also that of his product – magnate King C. Gillette. Neracher's "motor wheeler for everybody" had a pressed-steel chassis and hub-center steering; the mechanics were shielded from view by a neat pressed-steel cowling. The friction drive gave five gear ratios between 12:1 and 5:1. The Ner-A-Car cost just $225 from the factory located in Syracuse, NY. Its practicality was proven in 1922, when the legendary Erwin "Cannonball" Baker rode a Ner-A-Car from New York to Los Angeles at an average of 20 mph. 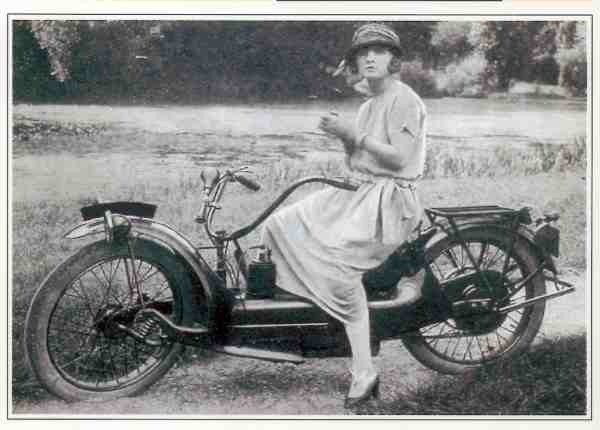 Though US production of the Ner-A-Car ended in 1924, this ingenious two-wheeler found an extended life in Britain. A license was taken out by the Sheffield-Simplex car company, whose patron was Earl Fitzwilliam, owner of the largest private house in England. They fitted a 285cc engine of their own make, and the Ner-A-Car found many buyers among the nobility and clergy, as well as women riders. Successful as it was, the Ner-A-Car was pulled down by financial failure in 1926 – but not before they had built a fully sprung Ner-A-Car with windshield, car-type seating and the Blackburne 350 engine and Sturmey-Archer gearbox introduced on the 1925 models. The Ner-A-Car company proudly claimed that their two-wheeler "takes you anywhere for next to nothing"; with an 80 mpg fuel consumption they were not far wrong!